We can accommodate large parties up to 40 people in teppanyaki, or 30 for our dining menu. Call us during normal business hours and we'll be happy to help plan your special occasion. You can reserve 4 of our large teppanyaki tables that can seat up to 10 each. For parties of 20 or more people, a $50 deposit is required and there is a 18% gratuity for groups larger than 6. 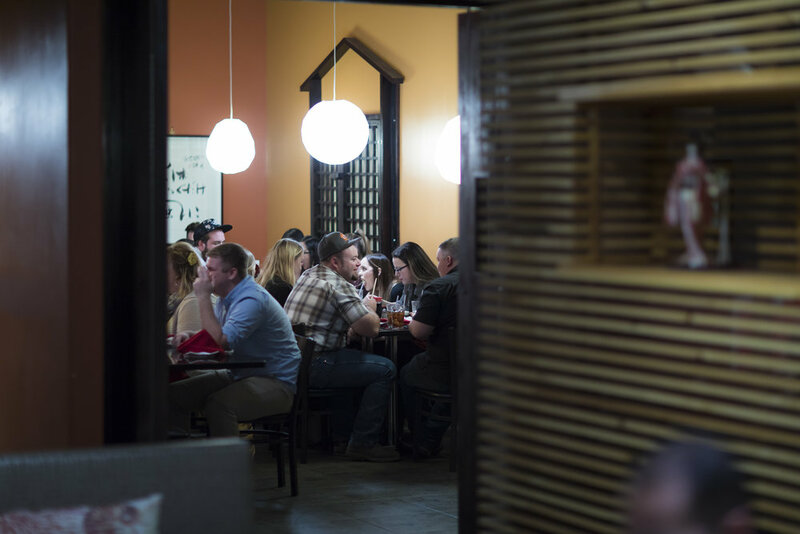 Large groups wanting to skip the hibachi and sit in a more relaxed setting, can gather in our dining room can seat up to 30 people. There is a 18% gratuity for groups larger than 6. Call (559) 276-3663 to reserve either room for your reception or party.